Looking for Govt Jobs in India? Tamil Nadu Public Service Commission (TNPSC) has advertised for recruitment of 1199 Group II Posts [Combined Civil Services Examination–II (Interview Posts)] vacancies. Interested and eligible job aspirants are requested to apply on or before 09th September 2018. Check out further more details below. Any Degree. For post wise qualification details, refer to the notification file. Applicants should possess adequate knowledge in Tamil. Rs. 150 for Main Written Examination only. Note: It is enough to pay Rs.100 only as of now and if you are selected on basis of result of preliminary and then you can apply for main and pay exam fee Rs.150. Also 3 times, exam fee is free for those who did not avail their 3 chances so far. 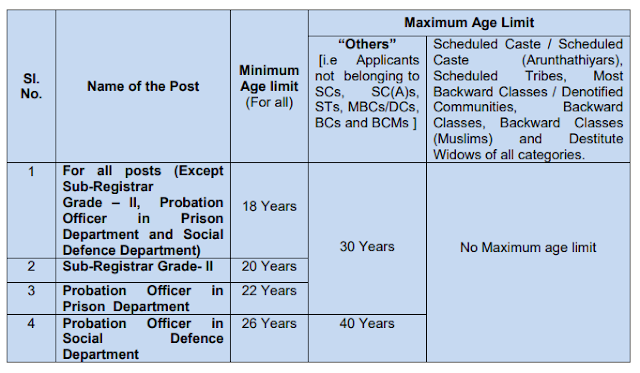 How to Apply: The candidates can ONLY apply by filling Online Application Form, a link of which is available on the website of the Tamil Nadu Public Service Commission www.tnpsc.gov.in .